It is that time again when opportunity knocks on every nail art enthusiasts here in the Philippines to challenge their creativity through nail art! BYS Philippines just launched its Glitter Up Your Nails Contest, a nail art contest that entails being imaginative in using the BYS Glitter for Nails Collection. The kit is very easy to use and it glams your nails as easy as A-B-C. I'm sure you can all come up with something fancy with any of the available colors! The only limit is your imagination! It includes a regular polish, a glitter pot, and a cleaning brush. There are 11 colors available. For your reference, please read my review and see swatches here. I also did a video tutorial on how to use the kit here. Here's a classic black and white stripes. simple big dots design may tickle your imagination. drips on the nail tips? 2. 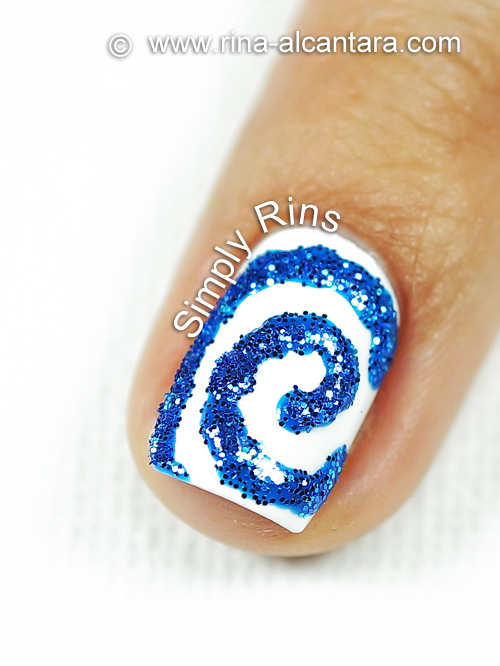 Upload a photo of your nail artwork using the BYS Glitter For Nails. 3. Wait for a notification that your work has made it to the Voting period. 4. Ask your friends to like your nail artwork! Full details of the nail art contest rules and regulations can be found at the Official BYS Facebook Page.